We believe great taste and good nutrition can sit together at the same side of the table. Through optimal nutrition, residents are able to reach their fullest potential of health within body and mind. Our careful attention to food, not just as a simple meal but as a powerful tool, is in line with our vision for overall well-being. Mealtimes are a place to join, connect, enjoy and unwind. 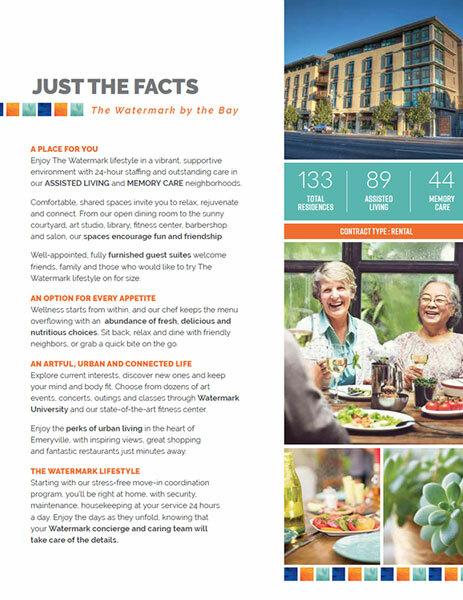 At The Watermark by the Bay we intend for each and every plate to serve as not just a meal, but a culinary experience. Our talented chefs utilize locally grown and fresh ingredients throughout their ever-changing and imaginative menus. Grab a light bite to go or take a seat and stay a while for a three-course meal. From complex creations to ethnic foods or simple favorites, there’s something for everyone to savor. We enjoy challenging the norm and set ourselves apart by continuously innovating new ways to enrich the lives of our residents. Through our nationally recognized Thrive Dining program, residents with cognitive and neuromuscular challenges can enjoy meal times just like everyone else. 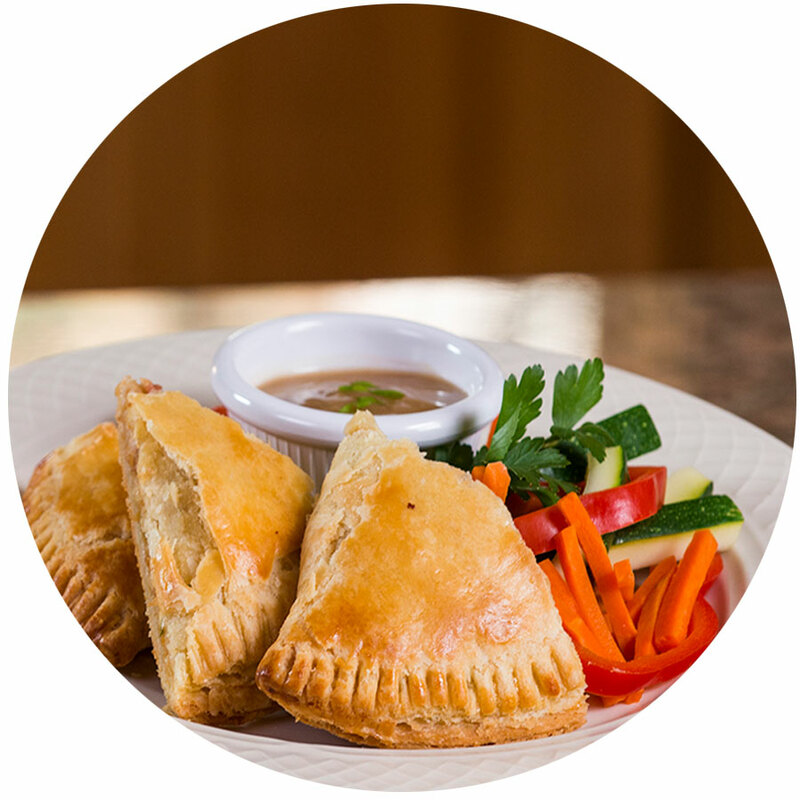 We transform our own menu items into delicious, nutritionally balanced, protein packed meals that are served as bite-sized hors d’oeuvres. No utensils and no distractions. Variety is the spice of live and there’s certainly no shortage of flavor in Emeryville. 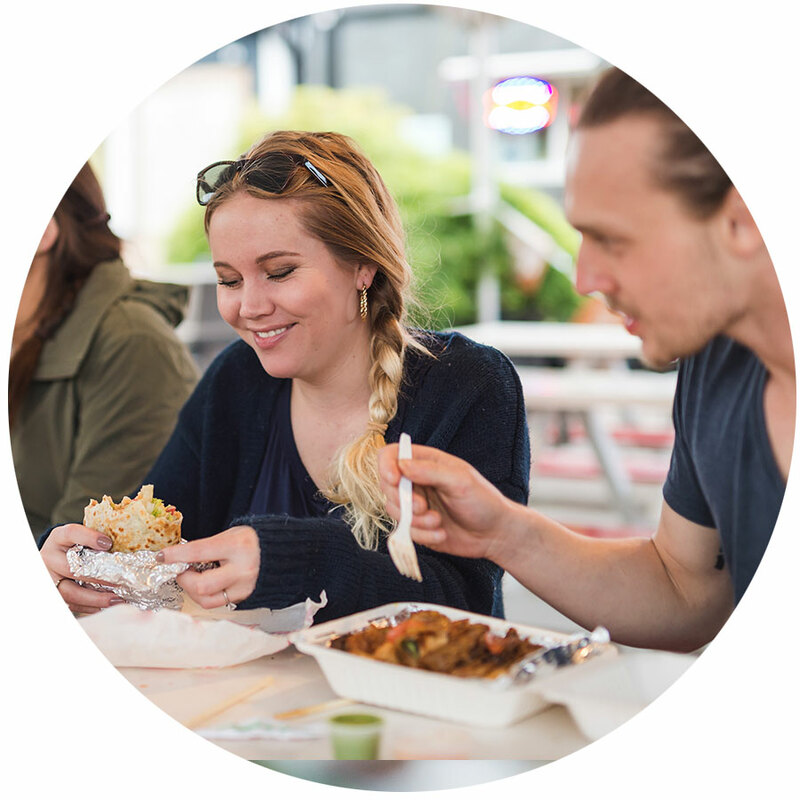 Our neighborhood is delightfully packed with diverse cuisine offerings from quick bites and fine dining to bakeries, bars and pubs. Savor Italian, Japanese, Indian, Mediterranean and countless more or opt for fresh-caught and locally sourced seafood. 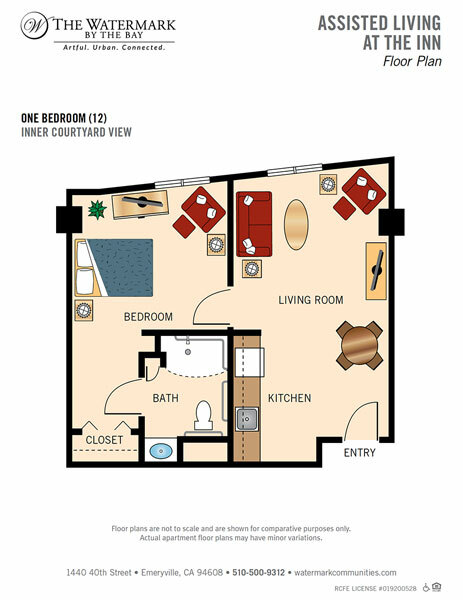 Taste the world, just steps from your door. Thrive Dining is a revolutionary dining program designed to restore the dignity and enjoyment of mealtime for individuals with cognitive or physical challenges. 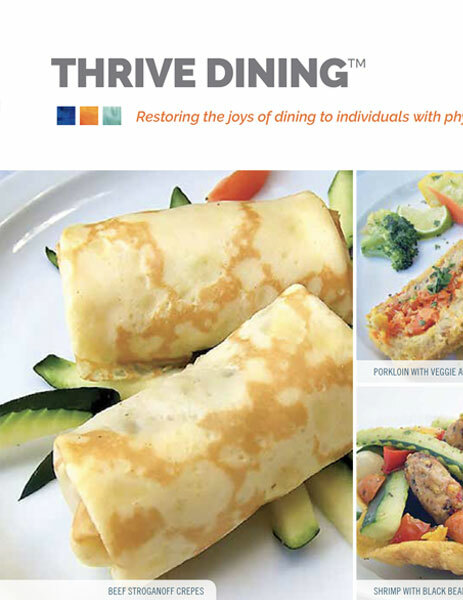 Thrive Dining™ features Watermark Communities’ Chef recipes and high-quality, freshly prepared gourmet menu items, transformed into incredibly tasty, nutritionally balanced, protein-packed meals. Watermark chefs start by using the Grind Dining “patent-pending” process of grinding and preparing the cooked foods on that day’s traditional meal menu in a unique way that retains their taste, texture and flavor. Then they beautifully present the same meal served as one-bite and two-bite hors d’oeuvres, intended to be eaten by hand, so that every individual is empowered to thoroughly enjoy their meal with dignity and without assistance. 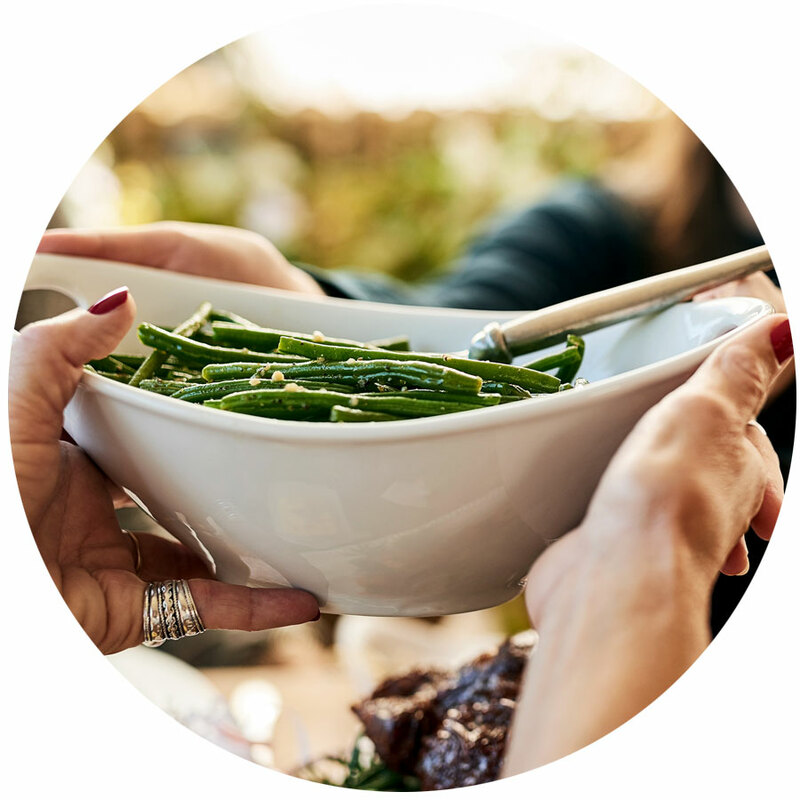 Thrive Dining™ engages the senses, promotes a healthy appetite, guarding against unintentional weight loss and significantly enhances the dining experience for those with cognitive or physical challenges and for their loved ones. At Watermark, we believe that question should be the start of a joyful dining experience. It shouldn’t be a reminder of difficulties eating, the need for assistance with every bite, or favorite foods deemed off limits. However, when physical or cognitive challenges exist, that is too often the case. Now, favorite foods can be enjoyed without assistance, without utensils and without while enjoying a meal with family or friends. With the Thrive Dining™ program in place, this question, “What sounds good to eat?” will whet the appetite of all our residents regardless of abilities, bringing joy back to dining for individuals with physical and cognitive challenges. 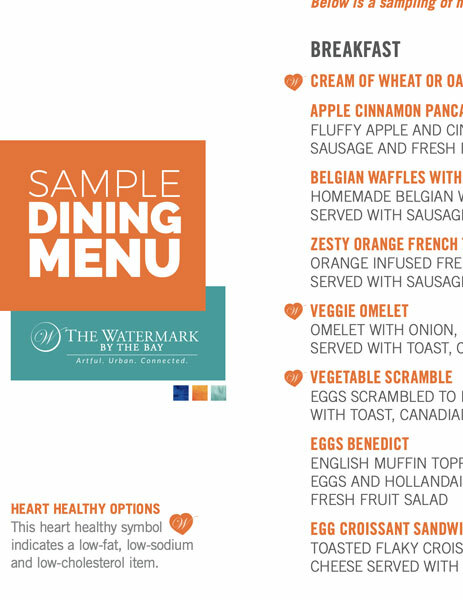 Why is Watermark introducing Thrive Dining™?